I have my 14-year old to thank for these 2-ingredient crepes. For several months, he’s made of habit of making a big batch of 2-ingredient pancakes every weekend. I can’t remember where he originally picked up the recipe (though it’s all over the internet now), but he mastered the process the first time he made them and it became his new cooking passion, taking over his previous omelet obsession. No complaints here! After watching him make the pancakes for months, it finally occurred to me that the same batter might work for crepes. So, he and I set out to test that theory a couple of weeks ago. We hit the jackpot! We used exactly the same ratio of bananas to eggs that he uses with the pancakes, but made one small tweak. Typically, he mashes the bananas with a potato masher, producing a batter with a somewhat lumpy consistency, which works well for the pancakes. But I knew we’d need something smoother to achieve a thinner crepe consistency. Into the blender went the eggs and bananas. We blended them until they were very smooth, then went to work making the crepes. While the batter produces something slightly thicker than a traditional French crepe, we were so pleased with the outcome. These definitely earned a place on our regular brunch menu. 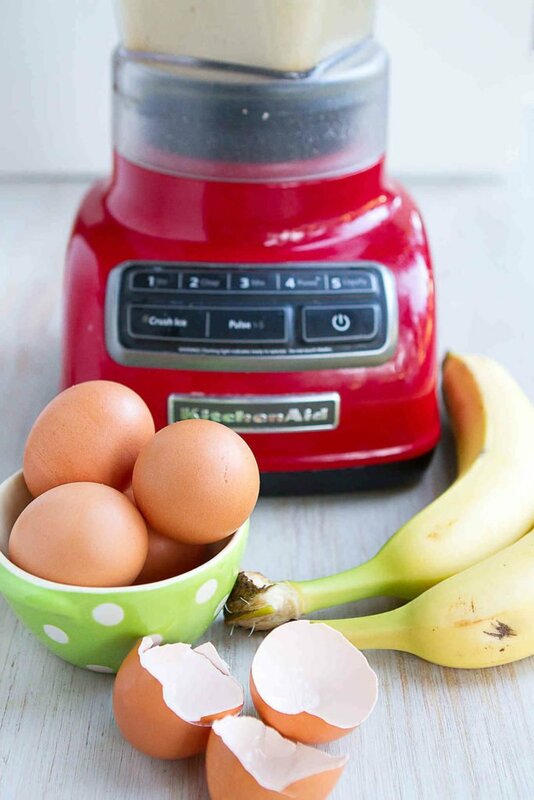 Start by blending the eggs and bananas until smooth. I like to make the crepes as soon as possible after blending the ingredients so that the batter doesn’t brown too much from the bananas. If you’d like, add some ground cinnamon, nutmeg and/or vanilla extract to the batter. I think they’re great with just the bananas and eggs, but you can certainly change things up! For the pan, you can use either a crepe pan or an 8- to 10-inch skillet. I’ve used both and they both work well, though the crepes are slightly easier to flip with the crepe pan because of the lower sides. Traditionally, the pan is coated with butter to stop the crepes from sticking, but I opted for a light coating of cooking spray. Repeat this with each crepe. 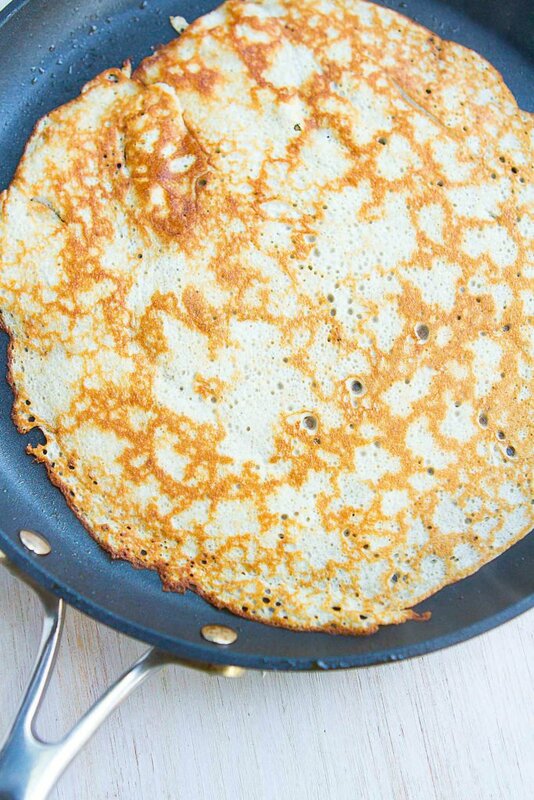 Once the crepe is almost set in the center and the edges are browning, loosen the edges with a rubber spatula. 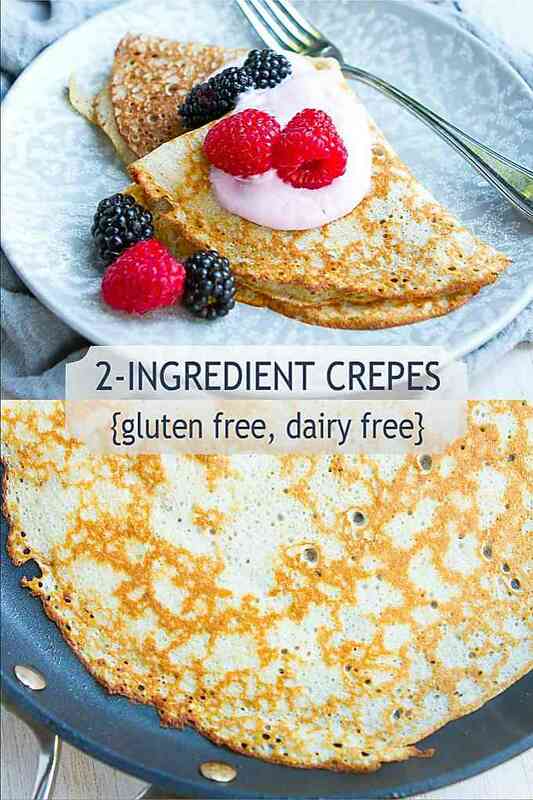 Regular crepes tend to be slightly thinner than these 2-ingredient ones and I’m able to flip them with my fingers. 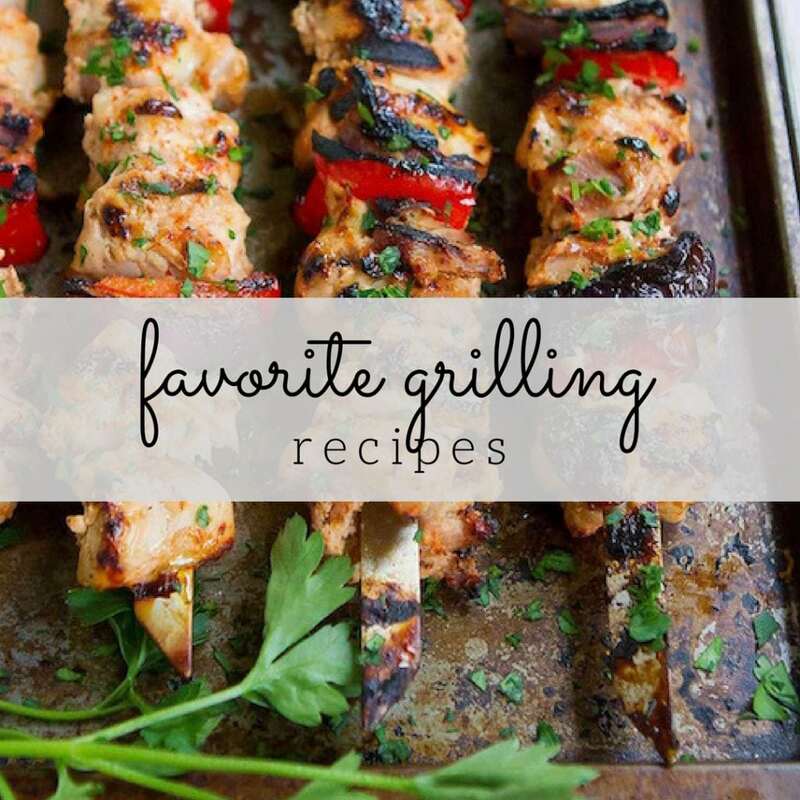 With this recipe, I recommend using two spatulas instead of your fingers. Cook the crepe for an extra 15 seconds on the flip side, then slide it out onto a plate or clean kitchen towel. 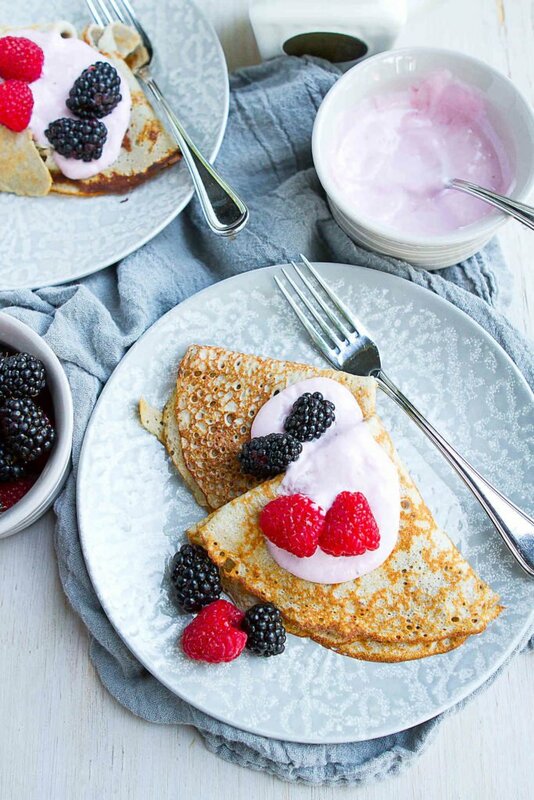 Separate the cooked crepes with parchment or wax paper. Can crepes be made ahead? Yes! Admittedly, I prefer crepes fresh from the pan, but it is possible to make them ahead. Separate the cooked crepes with parchment or wax paper, and seal them in plastic wrap. Place in a resealable plastic bag. Store them in the refrigerator for up to 3 days, then unwrap and reheat them in the microwave. They should just take 10 15 secconds to heat, depending on wattage of your microwave. This is the fun part! There are plenty of options, both sweet and savory. To stuff or to roll: This is completely up to you. Sometimes I like to dollop yogurt and fruit on top, while other times I spread the crepe with peanut butter and roll it up. Or you can roll up the fillings inside of the crepes, line up the crepes in a baking dish (like in this recipe or this recipe), top with a sauce and bake. Great for savory crepes! 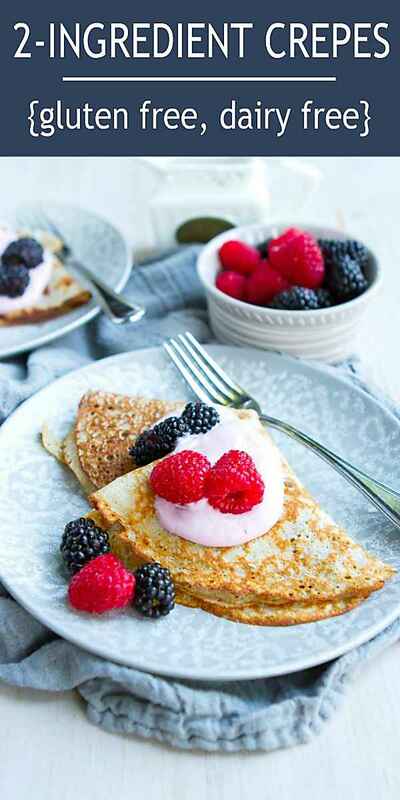 For these banana flavored crepes, I stick with yogurt, fresh berries, peanut butter, maple syrup, Nutella (for my son!) and nuts as fillings/toppings. 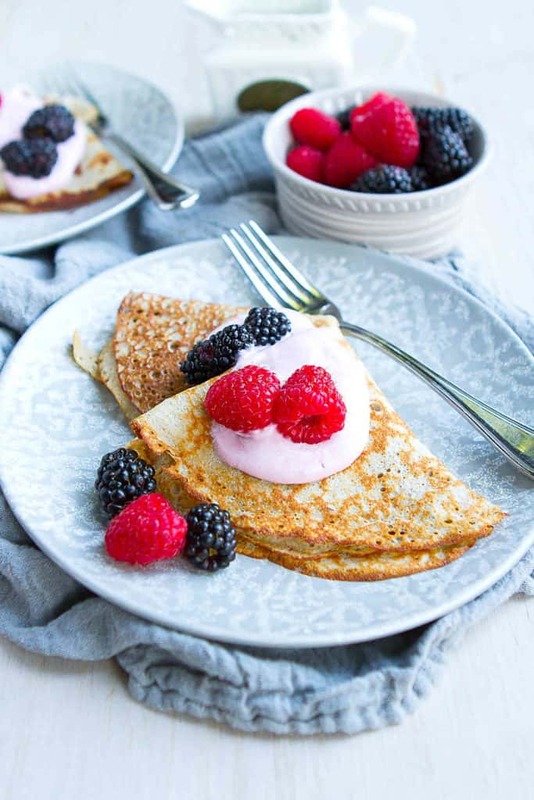 For plain crepes, like these buckwheat crepes, you could go either sweet or savory. 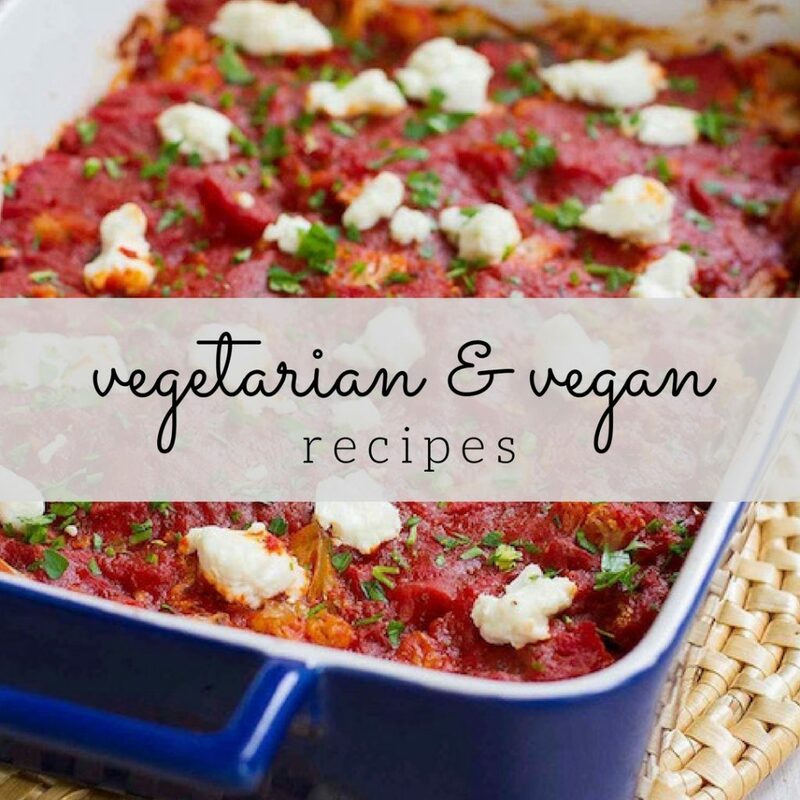 Savory topping/filling ideas: Any type of cooked meat, such as shredded chicken or sauteed sausage; sauteed vegetables, such as mushrooms, zucchini, bell peppers and onions; cheese, such as Parmesan, bleu cheese or Cheddar; and fresh herbs. Sweet topping/filling ideas: Fresh fruit, yogurt, whipped cream, nut butter, chopped nuts, Nutella and spiced, cooked apples. In a blender, combine the eggs and bananas. Puree until smooth. Heat a 9- or 10-inch crepe pan or nonstick skillet over medium heat (varies per stove). Lift the pan from the heat, light spray it with cooking spray and pour 1/3 cup crepe batter on the pan in a circular motion and swirl to evenly coat the pan. Place the pan back on the heat and cook until the center of the crepe is almost dry and the edges are lightly browned. Using a spatula (or two), flip the crepe and cook for additional 15 seconds. Slide the crepe from the pan onto a plate or kitchen towel. Repeat with the remaining batter, separating the cooked crepes with parchment or wax paper. 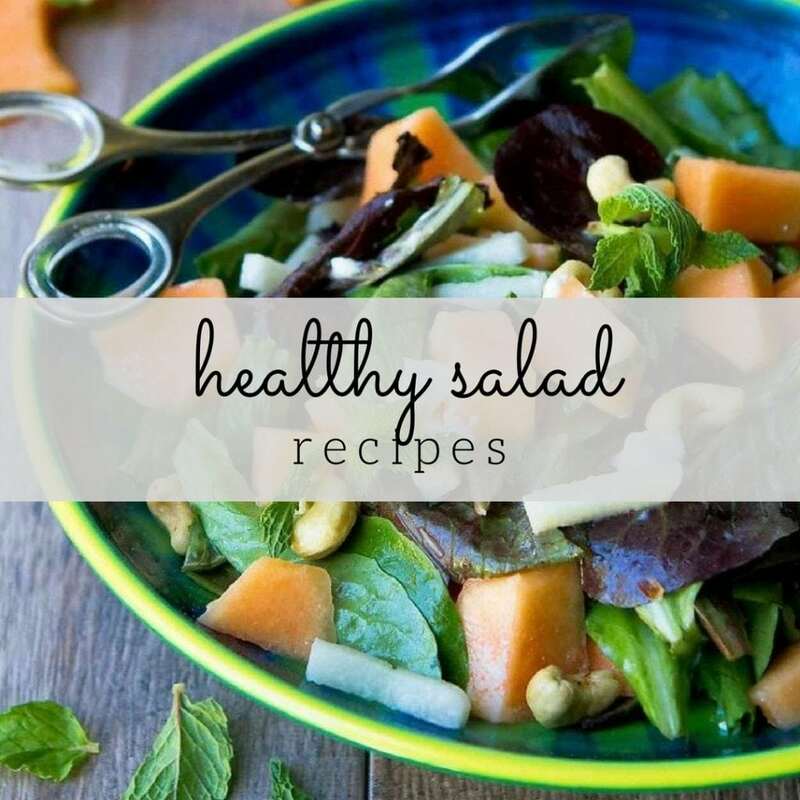 Serve with desired fillings and toppings. « 15 Easter Brunch Ideas – Fresh Springtime Recipes! I love this idea. I make pancakes this way by adding a scoop of protein powder and a splash of almond milk.